On the 11/11/11, just to make it ever so exciting with a special date line, the provisional 7Wonders of the World were announced. I wonder did you notice the announcement and if so did you notice who was nominated and who was left off the list? Is your country’s wonder one of the wonders that made it, or just fell off or just did not figure? Take a quick look here and see for yourself….Listed in alphabetical order just to ensure no one gets upset. Runs through Bolivia, Brazil, Colombia, Ecuador, French Guiana, Guyana,Peru, Suriname, and Venezuela. 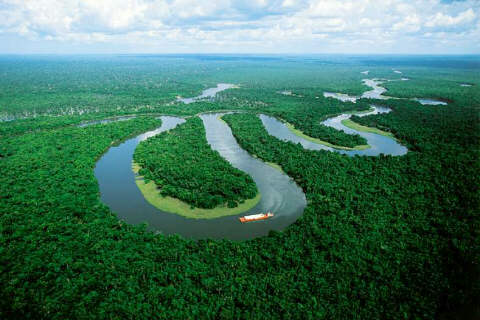 The Amazonia, the Amazon jungle and the Amazon Basin, encompasses a massive seven million square kilometers i.e. 1.7 billion acres. The Amazon forest occupies 5.5 million square kilometers of this (1.4 billion acres) lying within nine nations. The Amazon comprises over half of the planet’s remaining rainforests and has the largest and most species-rich tract of tropical rainforest in the world. With the Amazon River being the largest river in the world by volume, it accounts for one-fifth of the total worlds river flow, it has the biggest drainage basin on the planet, contains creatures that are still being discovered and has a total flow greater than the top ten rivers combined worldwide. Even more interesting is that not one single bridge crosses the Amazon. Found in the Quang Ninh province of Vietnam, has a 120 kilometer coastline and is approximately 1,553 square kilometers in size with 1969 islets. lt features thousands of limestone karsts and isles in various sizes and shapes. 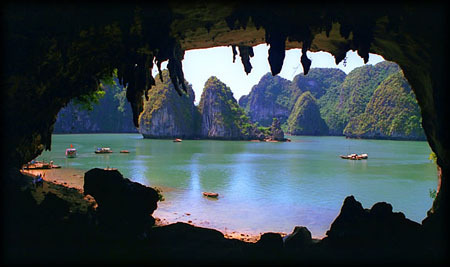 Several of the islands found along the coastline are hollow with enormous caves, and an abundance of lakes inside the limestone islands which occupy drowned dolines within fengcong karst. Some of the islands support floating fishing villages, who ply the shallow waters for the 200 species of fish and 450 different kinds of mollusks. 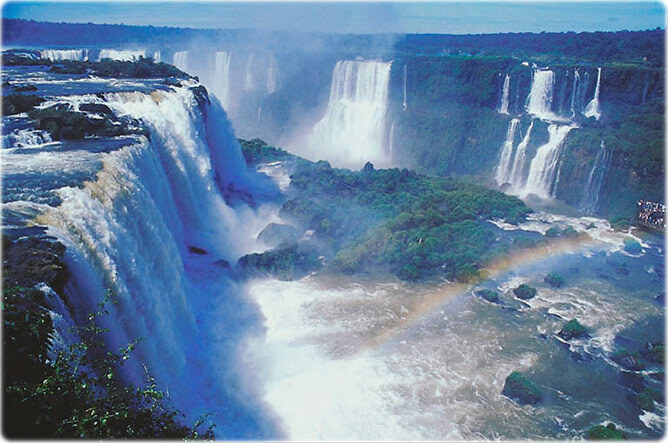 Iguaza Falls is made up collectively of 275 smaller falls and is found in the Iguaza River Argentina Brazil. It is one of the world’s largest waterfalls with the tallest fall called the “Devil’s Throat” being the tallest at 80m. The falls extend to over 2,700 meters (almost 2 miles) and are shaped in a semi-circle. The falls are surrounded by two National Parks (BR/ARG) and are found on the border between the Brazilian State of Parana and the Argentine province of Misiones, both being subtropical rainforest areas which host hundreds of rare and endangered species of flora and fauna. 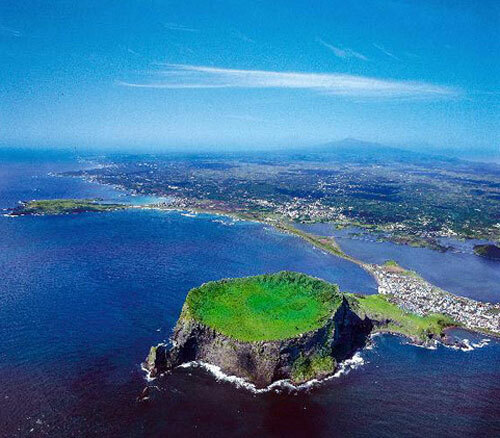 Jeju Island (Jejudo) is a volcanic island found 130 kilometers from the southern coast of Korea, it has a surface area of 1,846 square kilometers and is the largest island and smallest province in the country. The dormant volcano on the island is the tallest mountain in South Korea rising 1,950 m above sea level with 360 satellite volcanoes forming around the main volcano. Found in Indonesia, the park includes the three larger islands Komodo, Rinca and Padar, including some smaller ones of volcanic origin, making up a total area of 1,817 square kilometers (603 square kilometers of it land). 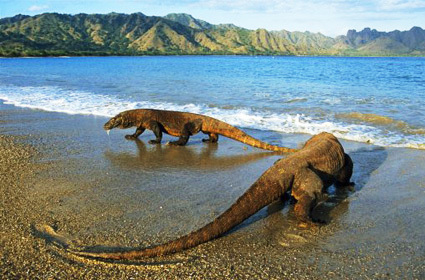 Founded in 1980 to protect the Komodo dragon, and later dedicated to protecting other species as well as marine animals. The Philippines boasts the Puerto Princesa Subterranean River National Park which is located approximately 50 kilometers north of the city of Puerto Princesa, Palawan. 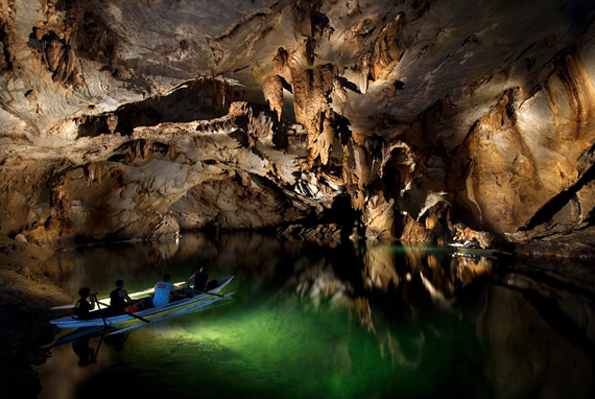 Its main feature is a limestone karst mountain landscape with an 8.2 kilometers navigable underground river. It winds through a cave with major formations of stalactites and stalagmites with several large chambers with the lower portion of the river being subjedt to tidal influences, before flowing directly into the South China Sea. The underground river is reputed as the world’s longest, at the mouth of the cave, a clear lagoon is framed by ancient trees growing right to the water’s edge, monkeys, large lizards and squirrels find their niche on the beach near the cave. A national icon situated in South Africa, it is the only natural site on the planet to have a constellation of stars named after it – Mensa, meaning “the table”. 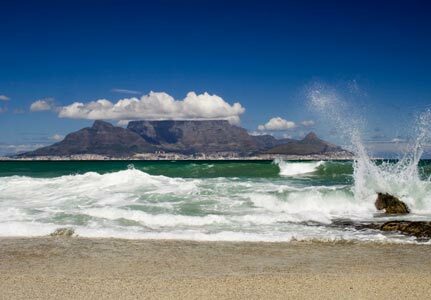 The gateway to Africa and the most recognized site in Cape Town owing to its unique flat-topped peaks reach up to 1,086 m above sea level. This flat-topped mountain hosts the richest and smallest floral kingdom on earth with over 1,470 floral species, hosting rare and endangered species. Confirmed winners will be announced at the Official Inauguration ceremony in 2012. Is your country one of the above? If not find it here. This entry was posted in Uncategorized and tagged 7 Natural Wonders of the World, 7 Wonders of the World. Bookmark the permalink.